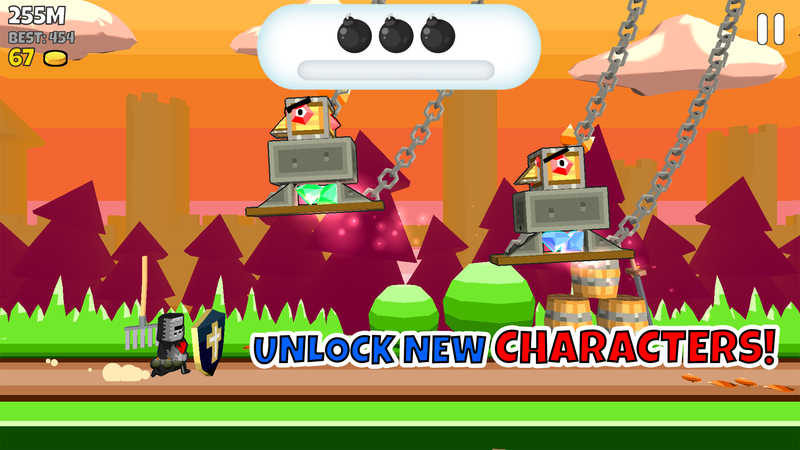 Bomb Quijote - a courageous medieval knight - has a secret skill: he can make powerful bombs to destroy his enemies! Unfortunately for him he happens to see enemies everywhere... Running headfirst towards danger he blasts, jumps, collapses and destroys his path through hordes of random obstacles that in his mind are his sworn enemies. 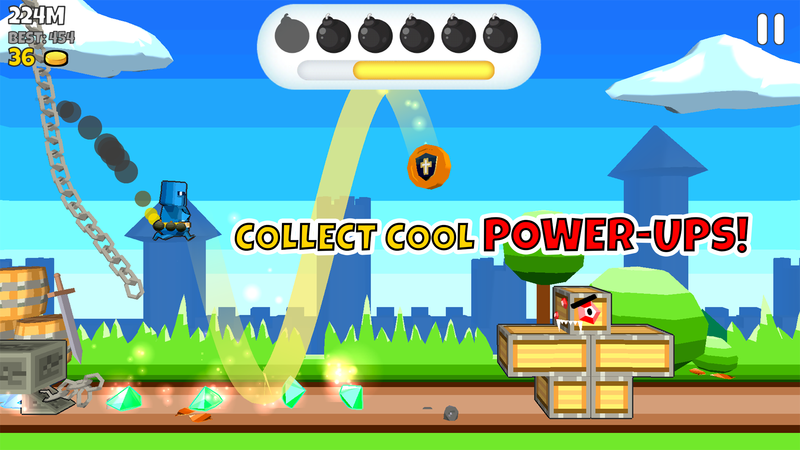 You must help him succeed using awesome powerups and of course - running as far as you can go! 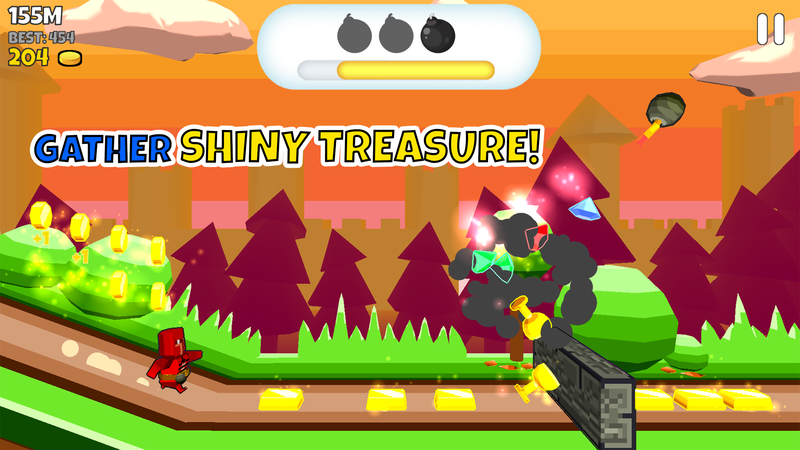 You can also collect shiny treasures and unlock bomb upgrades and lots of cool new skins. 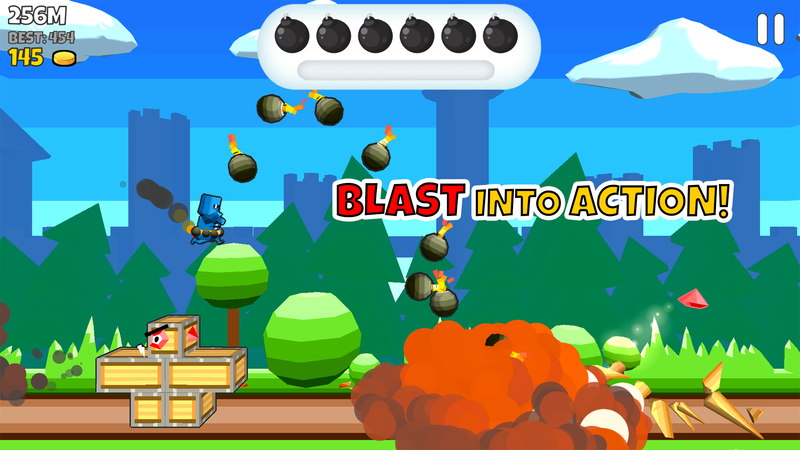 Dyna Knight is a traditional runner game with an explosive physics-based twist: You play as a little knight equipped with powerful bombs that are used to destroy and topple blocky obstacles. 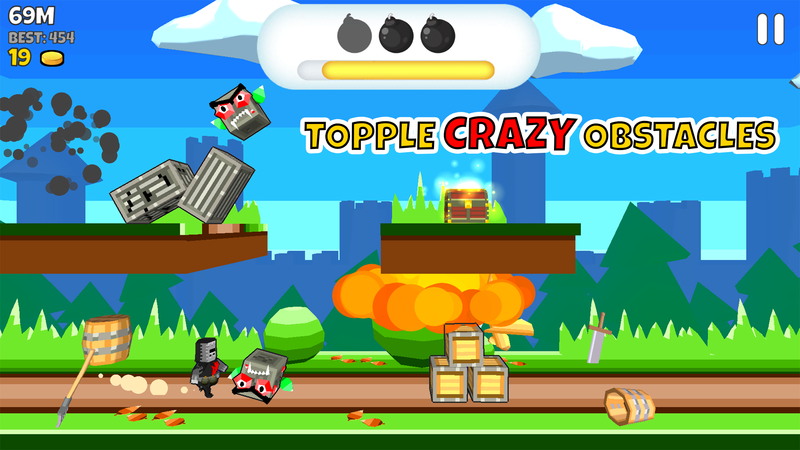 It's a first state-of-the-art 3D mobile game from Parta Games, the makers of the hit game Choppa (iOS, Android, Steam). More information on Parta Games, our logo & relevant media are available here.